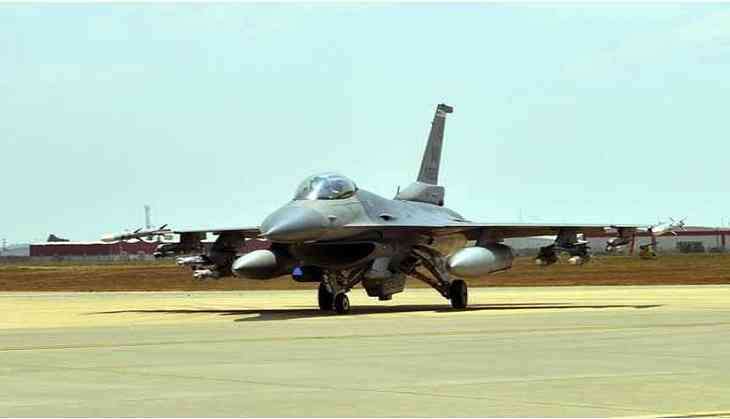 The U.S. Air Force has dispatched 12 additional F-16 Fighting Falcon multirole fighters for a four-month deployment in South Korea amid the heightened tensions in the Korean Peninsula. It came after North Korea's test of Hwasong-14 missile on June 4 and again on June 28 which has the potential to hit "entire U.S. mainland." F-16 Fighting Falcon multi role fighters will be stationed at the Kunsan Air Base, some 180 km south of the South Korean capital, Seoul. Meanwhile, Seoul has restarted consultations with Washington over the deployment of the US THAAD antiballistic missile system as well. The aircraft and some 200 airmen will be withdrawn from the 176th Fighter Squadron of the Wisconsin Air National Guard, the Pacific Air Forces (PACAF) said Tuesday. "The United States routinely evaluates readiness and repositions forces as needed to ensure capabilities necessary to meet obligations in the Indo-Asia-Pacific region," Russia Today quoted Pacific Air Forces as saying. "These deployments demonstrate the continued US commitment to fulfil security responsibilities throughout the Western Pacific and to maintain peace in the region." The announcement comes days after the two nations conducted joint drills with Japan, which involved flying a pair of supersonic B-1B Lancer bombers over South Korea. The mission was meant as a demonstration of force in response to North Korea's latest ballistic missile test last week. "If called upon, we are ready to respond with rapid, lethal and overwhelming force at a time and place of our choosing," Gen. Terrence O'Shaughnessy, Pacific Air Forces commander, remarked after the training exercise. Meanwhile, on Monday, Japanese Prime Minister Shinzo Abe and U.S. President Donald Trump had a 52-minute teleconference and agreed to take "further actions" to counter North Korea's intercontinental ballistic missile threat. "Under the strong Japan-U.S. bond, we will take concrete actions to enhance our defense capabilities and do all we can to ensure that the public is safe from the North Korean threat," Abe said. "We highly value the commitment by Trump to take all necessary steps to protect allied countries" from North Korea's growing missile threat, he added.